Loneliness can be crippling at any stage of life, but can be very pronounced as we begin to age. Children move away and start their own families, partners and friends pass away and it becomes harder to get out and about. 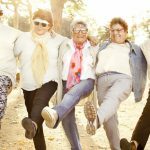 Government programs to keep more people in their homes have improved in the last 30 years and there has been a shift to a greater use of community care services. However, loneliness and social isolation can be a major cause of concern for older people living at home. In fact, loneliness has been linked to physical illness and functional and cognitive decline. Encouraging people to become involved in local networks and social groups is becoming key to ensuring our older loved ones are happy. Heading out to a game of bingo, seeing a show at the local club or getting involved in a Men’s Shed are just a few of the ways older people can engage with the broader community. Men’s Sheds are a fantastic way to meet new friends, keep hands and minds active and also help the community. Not all Men’s Sheds are the same – if you looked inside you might see a number of men making furniture, perhaps restoring bicycles for a local school, making Mynah bird traps, fixing lawn mowers or making a cubby house for a community group to raffle. You might also see a few young men working with the older men, obtaining new skills and learning something about life from the older men they are working beside. 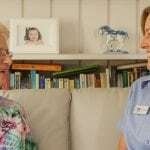 One of Oxley Home Care’s clients had been spending far too much time at home alone and had un-diagnosed depression before his family engaged our services. *Albert had lost his wife some years ago and while he was reluctant to have someone care for him in his home, his son was insistent that he receive some assistance. 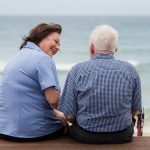 Oxley Home Care assessed Albert and realised he had been suffering with extensive depression since his wife had died and had been unable to drive for the past year. After a few visits with his carer Ahlam, he began to open up about his connection with the Salvation Army Band in Granville – an organisation he had been involved with for many years. With Albert’s permission, his care worker organised to take him to church every Sunday. This has been a regular service every Sunday since May 2015. Albert says that Oxley Home Care and Ahlam have saved his life and he will always be grateful for the assistance and support he was shown. To find out more about the loneliness of dementia, click here.